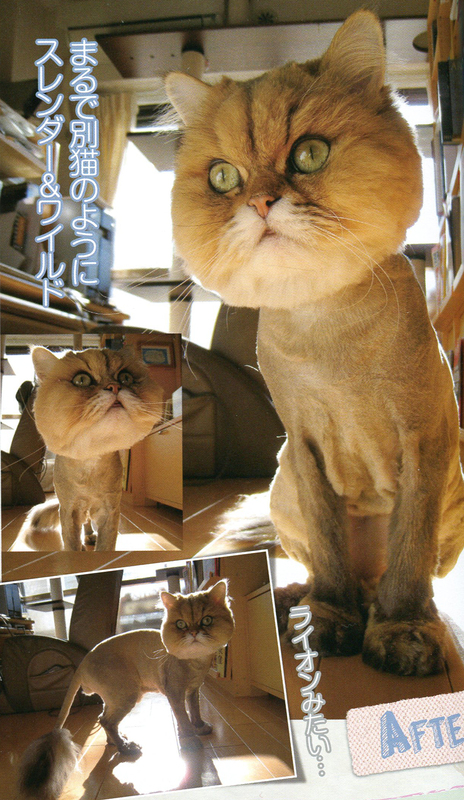 Okay, I know it’s summertime, and in Japan that means we all wish we could go around without fur, but how weird is it that there are whole sections in Japanese cat magazines devoted to fashionable fur-cuts? 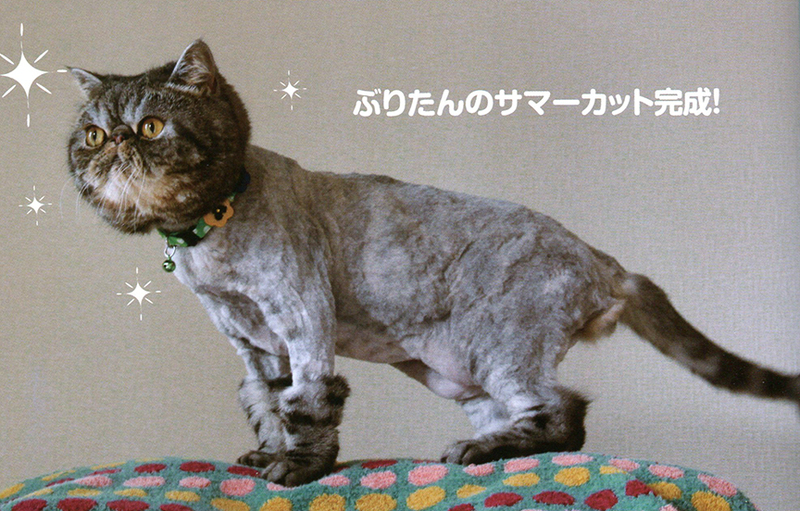 This one is supposed to look like the king of beasts, but the royal we are not fooled. Okay, this one is not so bad. 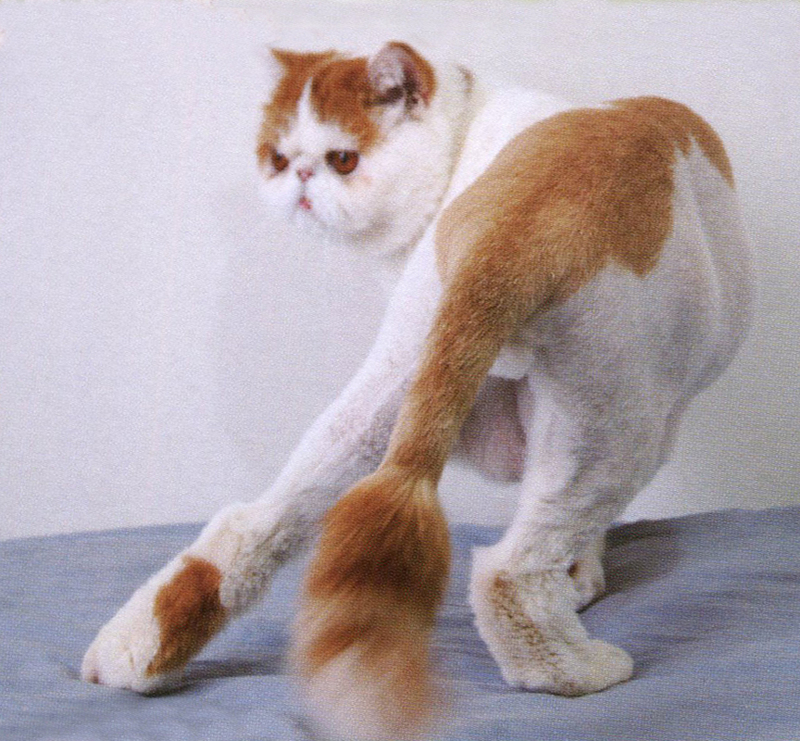 If I was this kitteh, I would not feel the need to hide under the sofa until my hair grew back.